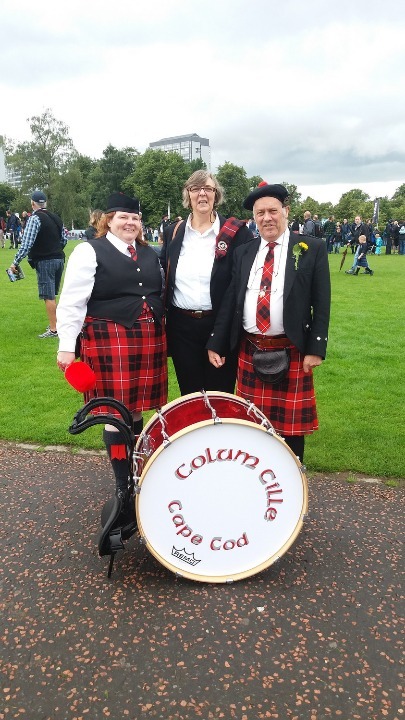 Our Vice-President, Alexander Cunningham and his wife Gabrielle with Bass Drummer. 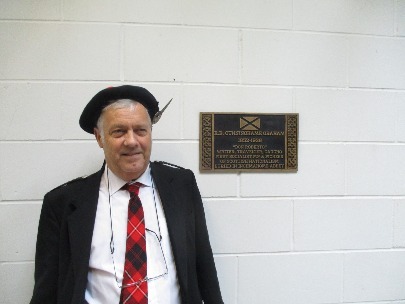 Vice-President Alex ​at the unveiling of the plaque at Port of Menteith which honours “Don Roberto” Cunninghame Graham. 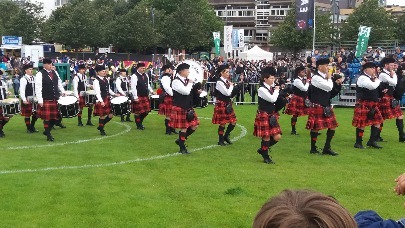 The plaque was unveiled on 14th October by Fiona Hyslop MSP, Minister for Culture, Scottish Government. 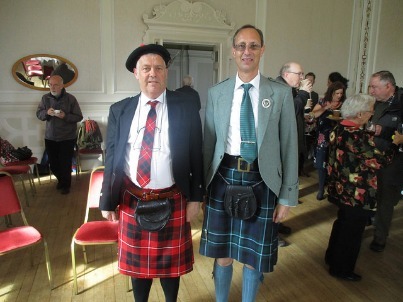 The unveiling ceremony was followed by a reception in Gartmore House, one time home of the Cunninghame Grahams and now a hotel, where I was photographed with Robin Cunninghame Graham.